Michael Becker, a mobile marketing campaigns expert, is on a mission to explain why mobile is essential for marketing and advertising. In this two-part podcast interview, Michael discusses mobile marketing’s global growth, research and practical marketing tips. Michael Becker is a leader, teacher, and entrepreneur in the field of mobile marketing and communications. 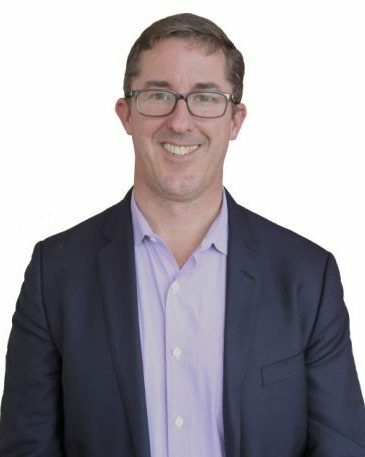 As North America Director of the Mobile Marketing Association, he furthers the MMA’s mandate to improve the quality of mobile marketing campaigns. His books include Web Marketing All-in-One Desk Reference For Dummies and Mobile Marketing for Dummies. Michael also edits the International Journal of Mobile Marketing. During the podcast, Michael discusses how to launch mobile marketing campaigns for large brands and SMB’s and the unique characteristics of the mobile Internet. He also comments on creating effective mobile websites and the future of global mobile marketing. Michael encourages mobile marketers to set realistic expectations about mobile’s impact on their businesses. For example, he recommends SMB marketers first think about their goals for mobile marketing campaigns and use SMS texting to reach the most compatible mobile handsets in the U.S (around 88%). He cautions marketers not to limit themselves to iPhone owners with a potential audience of only 3% of the U.S. market. Using the Weather Channel’s mobile website program is another alternative for SMB’s to target specific mobile audiences by geography, weather conditions and segmented audiences. Mobile marketing offers multiple paths or sub-channels that are synergistic: SMS, MMS, email, voice, Bluetooth and the mobile Internet. Multichannel marketing tied to marketing objectives frequently enhances brand image and marketing effectiveness. Mobile marketers who want to develop their own mobile websites need to consider the major differences between the mobile Web and desktop Internet. In mobile, they’re thousands of platforms to support: mobile handsets, operating systems, and mobile browsers. Unlike the traditional Internet, mobile marketing is more challenging. Once markets launch mobile websites, promoting them through traditional and digital channels is critical to effectively boost traffic. Company websites, newsletters, emails, blogs and other media channels are powerful tools to draw users to mobile websites. List development differs from traditional methods. Marketers can’t buy or sell mobile lists. And marketers must generate their own lists through short code texting and promotions. Obtaining mobile user agreement to receive news and information by opting-in to lists further fosters stronger customer relationships. Mobile lists increase a company’s competitive advantage and are marketing assets to businesses. As mobile marketing campaigns become more service-driven, companies can send mobile alert updates, such as sales quotes, systems status, and company news, to their customers. Imagination and “co-creation” with consumers help marketers launch desired customer services and promote customer feedback about the value of services. Mobile marketers can then adjust programs and campaigns to better meet customer needs. Likewise, click-to-call links placed in text messages, making it easier for customers to reach company call centers and better leverage marketing assets. The future of mobile, according to Michael Becker, is a global marketplace of diverse networks, mobile devices and multiple ways for consumers to interact with brands.